We know that a great night out always starts out with a great meal first. So we have teamed up with some of the other businesses on the mountain to provide you will some dinner options before the club that are custom made for bachelor and bachelorette parties. Our absolute favorite spot for bachelor and bachelorette dinners. The newly renovated restaurant is one of the most chic spots in Tremblant. The incredible menu is also very diverse and has something for everyone. The staff is amazing and go out of their way to make sure it is an very special experience for your group. It is a lively and fun atmosphere so you and the crew can get wild and have as much fun as you want at your special dinner! Yaoooo Pizza Pub has special packages starting at 9pm (perfect timing to arrive at the club right on time) just for bachelor and bachelorette parties that are awesome and include lots of freebies. 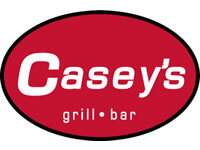 Casey’s is a favorite of the staff here at the Cafe. It has a fun atmosphere, a wide range of food, and some of the best service on the mountain. They have created an amazing bachelor(ette) dinner program that is sure to provide an amazing start to your night. If you would like to reserve for the night, please contact Tyler@caseystremblant.com – 819-681-4601.